Graphic images can be used very sucessfully on splashbacks to create interesting Deco looks. These designs use a Jazz band design, we used for a drinks cabinet, to add a fun element. These can be produced in several ways, with various backgrounds from stainless steel to woods, lacquered finish, silvered leaf. 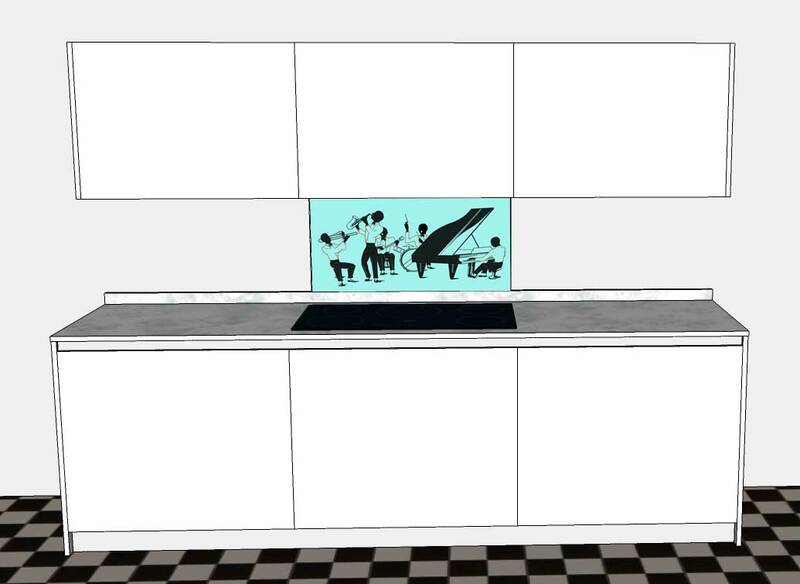 Splashbacks take alot of knocks and splashes, so they really need a glass panel in front to protect the design. Made to order.